Superb aromatic balance for this cognac to be appreciated neat, mix with ice and water or in long drink. 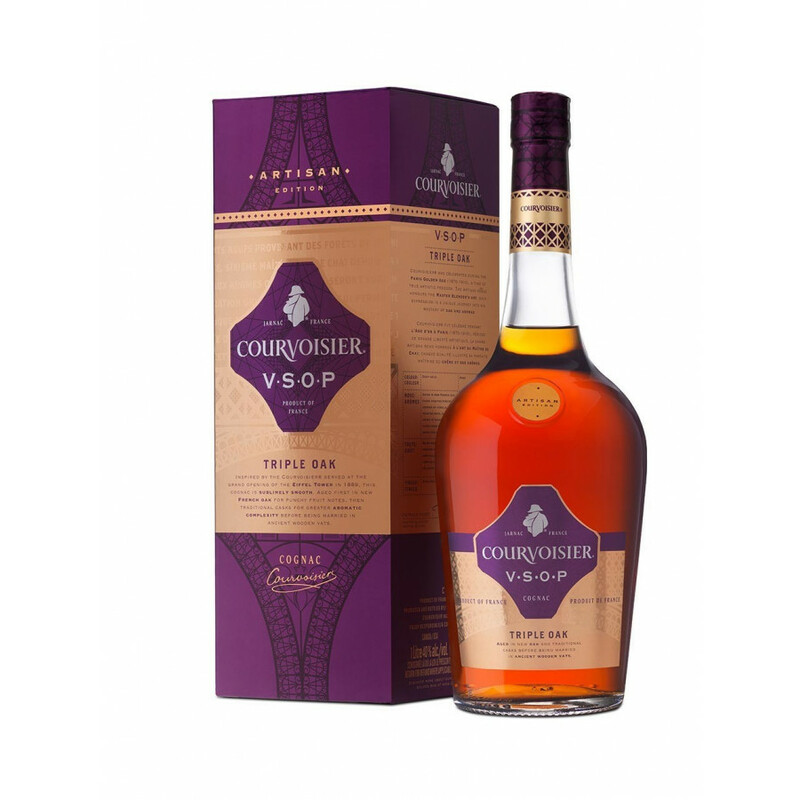 The Courvoisier Artisan VSOP Triple Oak Cognac is a delightful blend of mainly Fins Bois, Petite Champagne, and Old Borderies eaux-de-vie. It is named 'triple oak' because the cognacs are aged first in virgin oak barrels. They are then transferred to mature casks for the middle stage of the aging process before being transferred to ancient wooden vats for the 'end game'. The result is a wonderful blend fruit, exotic spices, and an incredible depth for a VSOP cognac. Powerful notes of dried fruits, vanilla, and roasted nuts make this a delightful cognac for all occasions.